The cloud increases profits. The nimble, location-flexible nature of the cloud enables lean, remote operation from anywhere in the world, increasing the bottom line of SMBs. The cloud boosts efficiency. Without the need for data silos, cloud applications can drastically reduce bottlenecks and failures. The cloud saves money. 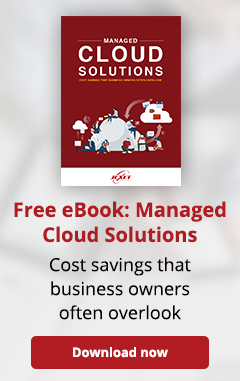 Instead of paying to maintain unused hardware, the cloud allows you to pay low monthly fees, reducing wasted funds. The cloud is more secure. Backups are that much easier to implement and access, meaning that your business can be up and running after a data breach in minutes rather than days. A healthy company culture does more than make work life bearable – it draws in talent and increases productivity. But contrary to what some CEOs may believe, culture begins with leadership. To bolster a positive, winning environment in your business, make sure that above all, your team embodies the core values of your organization. Hire and fire by the standards you’ve set, and build an organization that seeks to bring meaning to the business you do. Finally, keep your vision locked on your organization’s long-term goals. With a clear focus in mind for your employees, it’s that much easier for everyone to stay on the same team and continue to push forward in earnest. Short-term wins are important, sure, but it’s the visionary in you that will become someone to rally around for the long haul.